In our early years programs, children and their caregivers have the chance to explore and learn together, as well as meet other families who love and value nature. 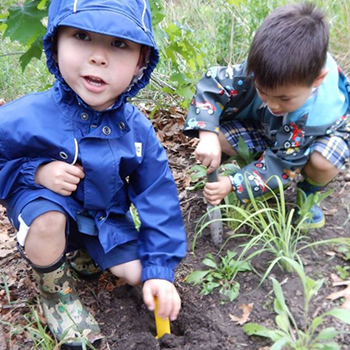 Experienced leaders encourage the children to follow their natural curiosity, nurture their sense of wonder and help them care for the nature in High Park. Caregivers will also learn a wealth of new ways to explore nature with their young ones. This summer we are offering Fox & Kits on Tuesday and Wednesday, and Waddlers on Thursday. 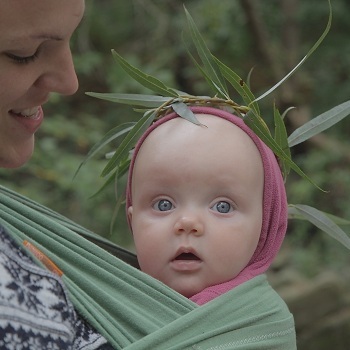 Sensory nature exploration for babies who will be carried for the hike portion of the program. Sensory nature exploration for toddlers who will walk for most of the hike portion of the program. Just like a nature preschool or kindergarten! Songs, crafts and hands on nature play and discovery. Fox and Kits is a program at the Nature Centre for adults and a wider age range of children in their early years. Children and caregivers have the chance to explore and learn together, as well as meet other families who love and value nature. Experienced leaders encourage the children to ask questions, nurture their sense of wonder and help them care for the nature in High Park. Caregivers will also learn new ways to explore nature with their young ones. All children between 18 months and 5 years who are attending the program must be enrolled. Babies who will be carried may attend at no charge with their caregiver. There is a 15% discount for additional registered siblings in "Fox and Kits". *There is a 15% discount for additional siblings registered in "Fox and Kits". 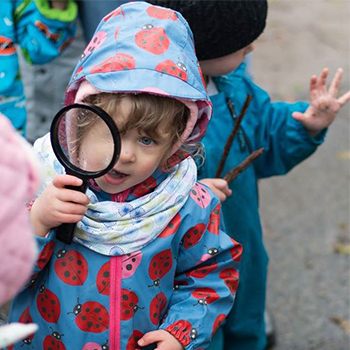 An early years nature club for a wider age range. A great choice for siblings or family friends!